The Poison Ivy Soap Bar - One Bar | BUDK.com - Knives & Swords At The Lowest Prices! 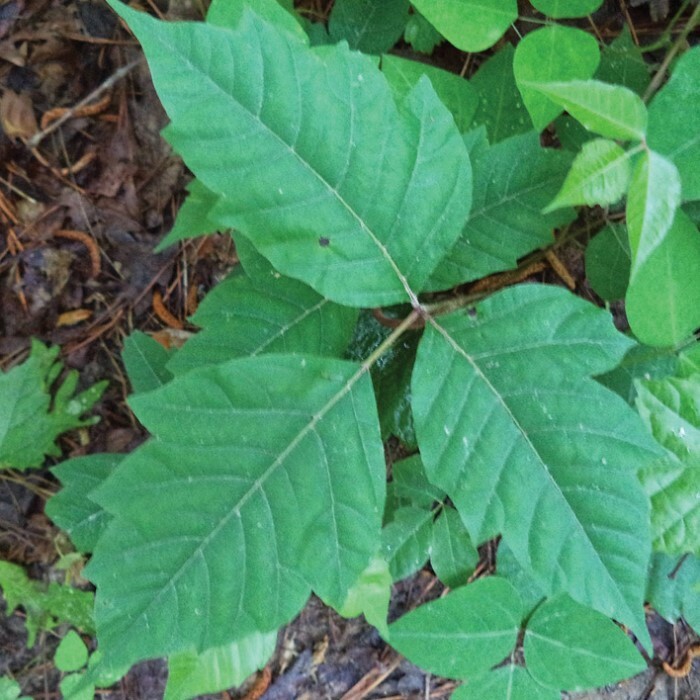 You get into a patch of poison ivy, oak or sumac and boy are you miserable. 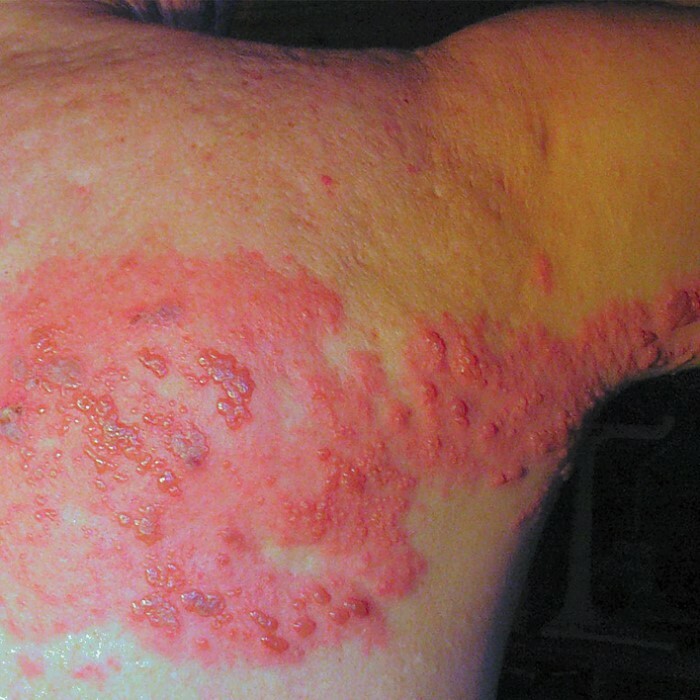 The itching and irritation can drive you insane! Allergic reactions to these plants are actually caused by Urushiol, a sticky lacquer-like substance found in the sap of the plants and it is extremely toxic. 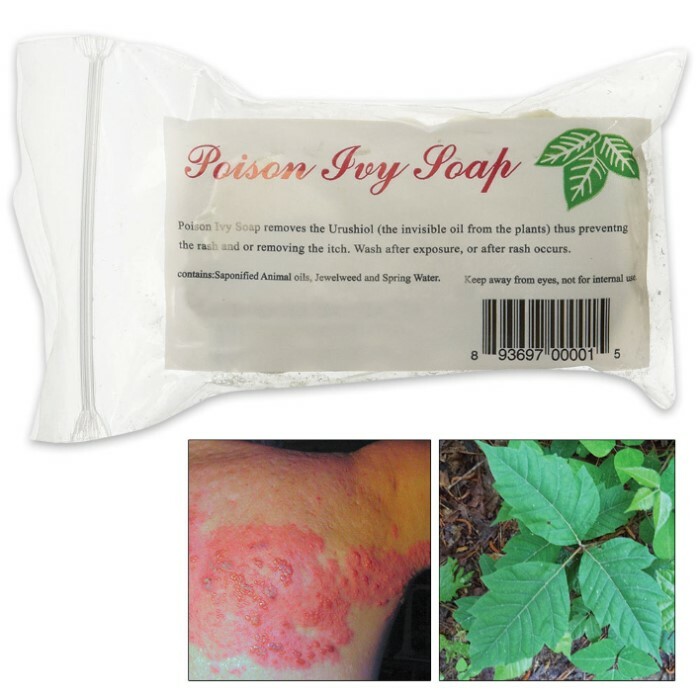 You can easily remedy that and combat the effects of these poisonous plants with the Poison Ivy Soap Bar. This pure soap is made with animal oil, spring water and the herb Jewelweed, which has been known for centuries for its natural ability to remove Urushiol and soothe skin irritations. It is the most recommended natural ingredient for completely removing Urushiol. Anyone can use the soap, including children, expectant mothers, diabetics, the elderly and people who are HIV positive. Use right after exposure, washing entire body and rinsing well. The soap can even be grated up and used in the washing machine to clean contaminated clothes.